Close rumble for the week, but Nine takes Thursday. The ratings tussle for this week is currently neck and neck between Seven and Nine. Seven has won two nights this week and is just 0.2% ahead of Nine, which has won three including last night. That means the battle will likely go down to sports events on Friday and Saturday to decide the winner. Either way TEN will be a much stronger third than it has been for months thanks entirely to MasterChef. Nine network was 27.8% on Thursday then Seven 26.3%, TEN 23.7%, ABC 15.8% and SBS 6.3%. 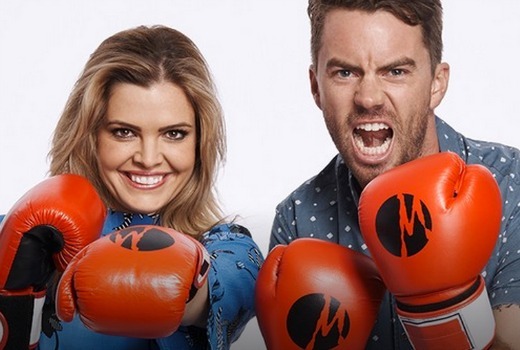 Nine News (1.02m / 970,000) led Nine’s night followed by A Current Affair (950,000), Reno Rumble (765,000), The Footy Show (702,000), Hot Seat (589,000) and Anger Management (347,000). Seven News (1.05m / 979,000) was best for Seven then Home and Away (774,000), Downton Abbey (629,000), Million Dollar Minute (592,000) and Martin Clunes and a Lion called Mugie (520,000). Mr Selfridge was 179,000. MasterChef Australia (1.03m) easily won its timeslot for TEN. Law and Order: SVU was 580,000 / 421,000, TEN Eyewitness News was 558,000 and The Project (557,000 / 409,000). ABC News (751,000) led ABC followed by a repeat of The Checkout (641,000), 7:30 (511,000), Budget Reply (493,000), Our Girl (397,000) and Antiques Roadshow (304,000). On SBS ONE it was Luke Nguyen’s United Kingdom (270,000), Rachel Khoo’s Cosmopolitan Cook (264,000), Vikings (199,000) and SBS World News (185,000). ABC2’s Peter Rabbit bounced to the top of multichannels with 291,000. OzTAM Overnights: Thursday 14 May 2015. There’s a big gap in the numbers between MC & the rest of TEN’S content. I can’t see anything else they have to offer that will give them million plus ratings after MC ends. Maybe a reboot of Australian Idol would work. I think the Downton Abbey Christmas special episode lost something when 7 aired it in two episodes as opposed to movie length. What utter rubbish!Channel 9 trying to denigrate other programs,watched A C A trying to do a stitch up job on the SBS struggle street doco…what a pathetic,unbalanced,biased performance by a ‘reporter’ who should know better or left his skills in the locker room.What’s worst is they tried this stunt over 2 consecutive nights…..and boosted SBS ratings.Unbelievable! I was amazed to see the couple from Struggle Street on ACA saying they would do it all over again, after trying to get the show stopped. And saying that more money and resources should be directed to people in Mt Druitt, omg, we’ve seen exactly what they do with their welfare payments. As John McAlpine once said “Look at the numbers that matter” – Masterchef won every key demo last night – and most of the week as well. Sure, but the numbers that matter are also network share, including Timeshifted and Demos, not just one show. Masterchef has had a great week. It’s great to see a closer battle each night instead of one network just dominating. Masterchef is great this year and the show is going from strength to strength. Lets hope it keeps up for the rest of the season.